Watering regulations take effect in Nanaimo June 1, 2013. These restrictions are intended to ensure that all residents receive an adequate supply of water throughout the summer months and that sufficient reserves are available should they be required for emergency fire fighting purposes. PLEASE NOTE: Parking lot or driveway washing is not permitted and washing of automobiles will only be permitted on regular watering days within the allowable hours. 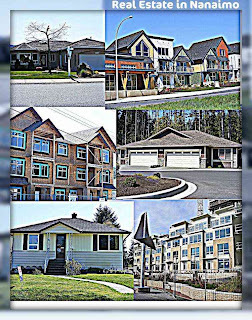 Odd numbered homes, apartments, strata units, mobile homes etc. can water on odd numbered days of the month ( June 1, 3, 5 etc.). 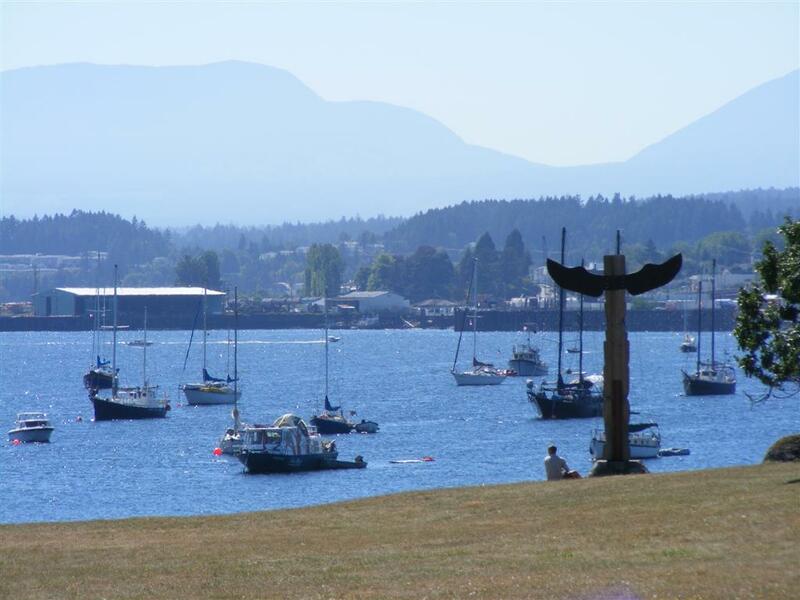 After you have enjoyed the fun activities planned for Canada Day in Maffeo Sutton Park, you might want to hop onto one of the Pickle Boats that will take you to Newcastle Island. 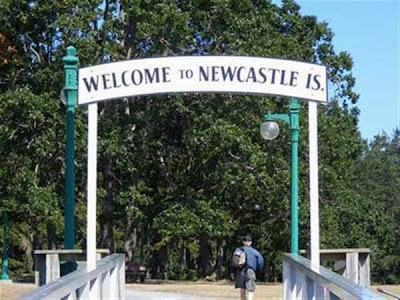 You can check out the Newcastle Island Ferry schedule by using this Nanaimo Info LINK. For information about different events planned and camping reservations you can contact the Park Office at 250-754-7893. You can also visit the Island's website using this LINK. A day trip to Newcastle Island is always an outing that never disappoints. For a very reasonable price you can enjoy a boat ride to and from the island giving you the chance to view Nanaimo from the harbour and enjoy some fresh sea air. You can bring along a picnic, or take advantage of the great food served at the concession. Spend a relaxing day just enjoying the sun and water, or hike around the island to discover it's many treasures. The weather will be fantastic, so why not take a mini-vacation to lovely Newcastle Island, nestled right in Nanaimo Harbour. For Bruce Samson, Proprietor of the Urban Wine Cellar, which has recently relocated to 165 Fraser Street (next door to Mrs. Riches restaurant) downtown Nanaimo is the only place to be. While his business has moved four times over the years, he is adamant that the best place to work, live, shop and play is in downtown Nanaimo. Bruce: It will be 23 years this October. We are the oldest “ferment on premises” business in Nanaimo. DNBIA: Have you always been downtown? Bruce: Yes, but not in the same location. In 1990 we opened at 45 Commercial Street and then three years later we moved across the street to 50 Commercial because it was a substantially bigger store. We were there twelve years but we had to move when the Conference Centre was built. We successfully relocated to City Centre Plaza for eight years and then we out grew that space. When we moved to our current location six months ago, we tripled the amount of square footage from 1,100 to 3,000 square feet. I was adamant we were going to stay downtown. We live, work and shop downtown. Downtown has always been good to me so why would I move? DNBIA: What motivated you to start this business? 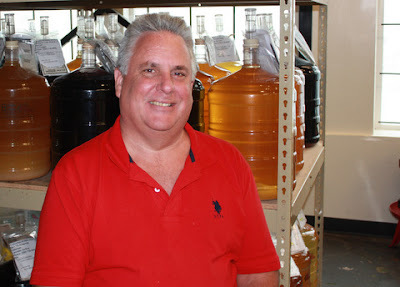 Bruce: I made my own beer and wine at home; I started when I was in the military. When I retired from the military and moved to Nanaimo in 1989 there were no stores to buy supplies, so that’s what prompted me to start my own business. When we started we were only a supply shop, but quickly turned into a “brew on premise”. DNBIA: How did that affect your business? Bruce: At the time, no one in the industry saw the “brew on premise” coming. Now a day, 95% of the industry is done on premise. Originally our business was called Brewers Wort, but since eighty percent of our business is wine making, we rebranded so people could more easily identify what we do here, which was ironic, because the very first client who came in after we rebranded asked if they could make beer here – to which I replied, of course you could. We are the only store on the central island that produces beer on site and all the beer products are exclusive to us. DNBIA: Can you give a short description of your business? Bruce: We sell products for making beer, wine, ciders and coolers, etc., however, our main market is we provide the facilities and equipment and our expertise to allow you to make your product here on site. You can’t buy a finished production for consumption here. Bruce: We are open Monday to Friday from 9am to 5pm and 9am to 4pm on Saturday. DNBIA: I see other products here besides beer and wine kits, tell us about them. Bruce: We also sell BBQs. We are the local dealer for Traegar Wood Pellet BBQs. We believe they are the best BBQ on the market and they can also act as a smoker. Two years ago for my birthday I bought one and I liked it so much I took out a dealership, because what goes better with good wine than good food! We have sold dozens of these BBQs and we are expanding our lineup of BBQ sauces and hot sauces. Sometimes we have a barbeque while people are bottling wine. Bruce: I believe we are best known for customer service and quality product. Over the years we kept growing and investing in better and better equipment. Everything here is state of the art. We try to make life easy for people; make the equipment easy to use and get the job done fast and effectively. No other Ubrew on the Island has a bottle washer or bottle fillers superior to ours and we are constantly upgrading. DNBIA: What sets your business aside from others in the field? Bruce: Again, it is the quality of the product. We have an exclusive on our beer, not on our wine though. We are not as big as some other stores around the province, but I see that as a positive thing, because more care is taken to ensure the quality; you get too big and things fall through the cracks. At this size we can offer more personal hands-on service. DNBIA: Who are your customers? Bruce: Our customer base is everyone. Our main customers are people 50, 60 and upwards. It is a challenge to get younger people in, they don’t want to wait for a quality product when they can just go to a store quickly and buy a bottle of wine. However, we believe it is the same as the saying do you want good food or fast food? Good things take time. Recently though we are seeing a trend with younger couples coming in as more of them move to the downtown core. Bruce: They come from everywhere. I have people from Saltspring Island I have been dealing with for 20 years. We have customers who come here from Bowser and Port Alberni who bypass other shops who come here because they like the quality. DNBIA: Why should customers choose you? Bruce: Definitely for a quality brewing experience. If you want cheap alcohol you can brew it at home. If you want to make a hobby of it, then do it at home. If you want to take the work out of it and enjoy a quality product, come to us. What you are paying for is our expertise and you can produce quality product here at one-third of the the price of the liquor store. DNBIA: Can you give us an anecdote that sums up what your business is all about? Bruce: We want people to come in and have fun. At one time we even put a tanning booth in our store, it wasn’t the right mix, but some of our best customers originally came in for tanning. We have had brewers forming conga lines and wine makers coming in with meat and cheese plates to nibble on while they sample and bottle their wine. Brewing your own beverages is about the experience. I believe that life is too short not to be happy. 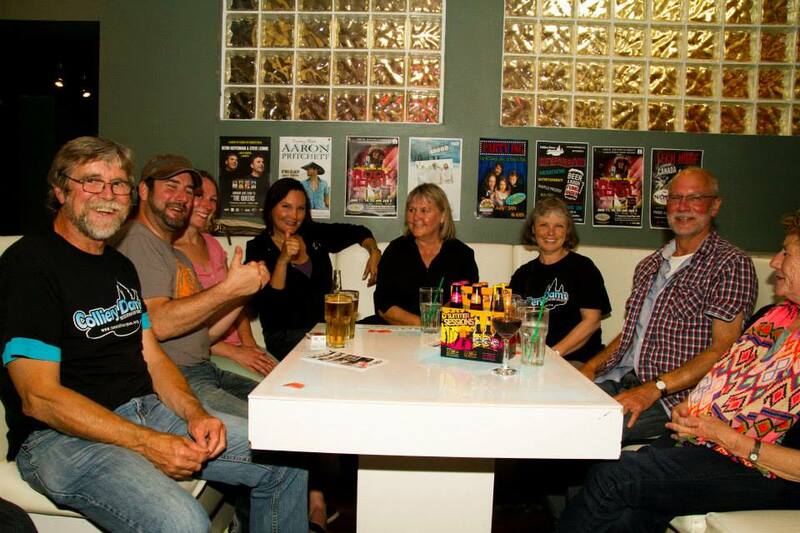 DNBIA: What do you like most about having a business in downtown Nanaimo? Bruce: My customers. 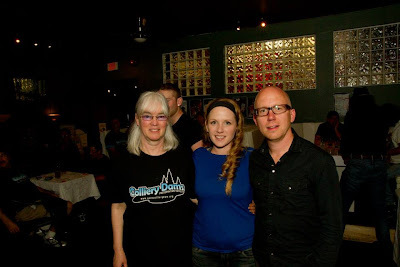 We have been blessed for 20 years with having the best customers from all over the city. As I said earlier, I believe in downtown, it is a wonderful place to live and I’ve been here since 1989. I would never leave here. Bruce: Just the other day I got a card in the mail from a regular customer thanking me for going above and beyond. Feedback like that is very nice to get. We recently went to a military wedding, and the new bride posted on Facebook following the wedding that she would like to give an additional thank you to the Urban Wine Cellar for advising them to brew their wine as early as they did, she said the wine was the best she had ever tasted. You want people to come back because they are happy with what they got and they have been treated fairly and with respect. You have to treat people how you want to be treated yourself. DNBIA: What advice would you give to a new business starting out in downtown Nanaimo? Bruce: Best thing I would say is stay calm, don’t expect success over night, give good customer service, keep fair pricing and smile. VANCOUVER, BC, Jun 29, 2013/ Troy Media/ – Consumer insolvencies in B.C. in April were unchanged from March, reaching a seasonally-adjusted 965 filings. The pace, which includes both bankruptcies and consumer proposals, remained in line with the range-bound trend observed since late-2012, but was 9 per cent lower than the same month in 2012 – marking an extension to the gradual but choppy descent from the recessionary peak in 2009. Despite the general easing, insolvencies remained higher than the previous cycle-peak observed in 2002. While part of this reflects a larger population base, per-capita insolvencies remained near previous highs of 25 per 100,000 persons. Elevated insolvencies point to modest financial strains in an environment of high household debt and dismal employment growth, factors which have also tempered the pace of consumer spending in the economy. Marginal economic and employment growth and persistently low short-term interest rates this year will continue to generate downward pressure on insolvencies, but declines will be shallow. Mortgages in arrears data provide another indicator of the state of household finances and were consistent with insolvency trends. 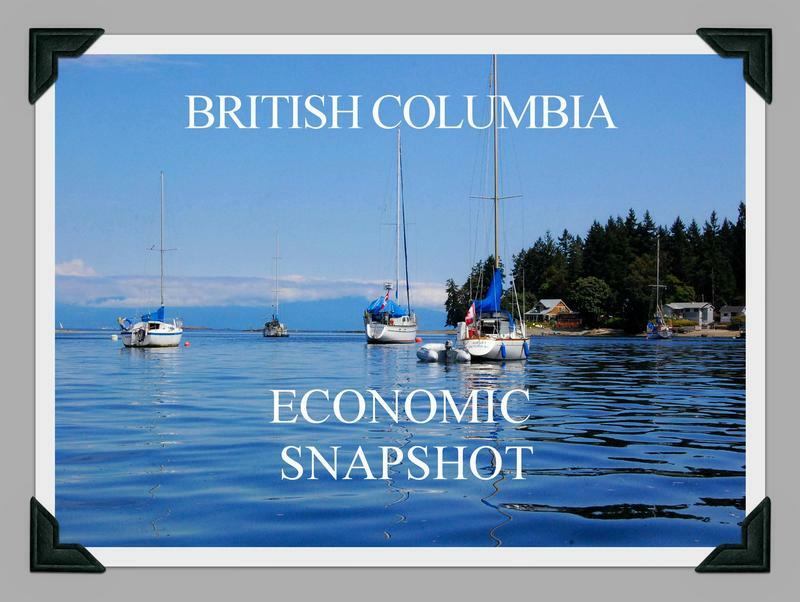 Albeit a lagging indicator of the economy, the proportion of B.C. mortgages in arrears by three months or more remained low at a miniscule 0.45 per cent of the mortgage pool in March. While unchanged since December, the rate was elevated when compared to pre-recession lows of near 0.15 per cent and historical norms. A gentle easing pattern in the B.C. arrears rate since 2010 has been modest at best, particularly when compared to significant improvements in the rest of Canada, which likely reflects some underperformance of the economy, labour markets and higher home prices. That said, a significant increase in nonperforming mortgages over the next year is unlikely. The economy is expected to grow modestly and, more importantly, households are unlikely to encounter significant interest rate shocks. Short-term interest rates will remain exceptionally low given the expected persistence of the Bank of Canada’s 1 per cent policy interest rate. Although bond yields are on the rise homeowners are likely to find renewal interest rates lower than their pre-existing rates – notwithstanding changes in rate discounts. Average weekly earnings data were reported for April and the numbers weren’t all that promising for B.C. workers looking for that elusive pay bump. Weekly earnings reached an estimated $874 during the month, marking a rebound from March, but extended the flat to negative trend observed since the turn of the year. Reflecting the weak labour market, wage gains were up only 1.8 per cent from same month in 2012, which was significantly below the national average of 2.2 per cent. Through April, year-to-date earnings were up about 1.7 per cent over the same period in 2012, compared to a gain at the national level of 2.4 per cent that was led by Newfoundland-Labrador, Saskatchewan and Alberta. While industry composition influences average wage gains, stronger labour markets and wage gains in the prairies have been a powerful draw for B.C. workers, factoring into a net outflow of B.C. residents to other provinces. Back at the city council meeting of Dec. 3/2012 when discussing the idea of committing funds to the old theatre building at 25 Victoria Rd. Councillor Greves said it was a heck of a lot of money and his opinion of the building was to just knock it down. This was a comment based on his experience with renovating buildings. By the time council had to deal with this issue at the March 11/2013 council meeting Councillor Greves seems to have done a complete about face on this old building and now was he no longer advocating tearing the building down he was wishing they were voting to commit $800,000 to the building rather that the $160,000 council finally decided upon. Note: If you want an example of the arts and culture lobby in Nanaimo, this is a prime example of how it exerts pressure on city council to convince a pliable council it is OK to spend YOUR tax dollars as THEY see fit. In my opinion this was a very poor use of tax dollars as the building has seismic issues which should be addressed before spending money on cosmetics. Remember they spent considerable money on the old annex, and then decided it was in such poor shape they wound up giving it away for $1.00. 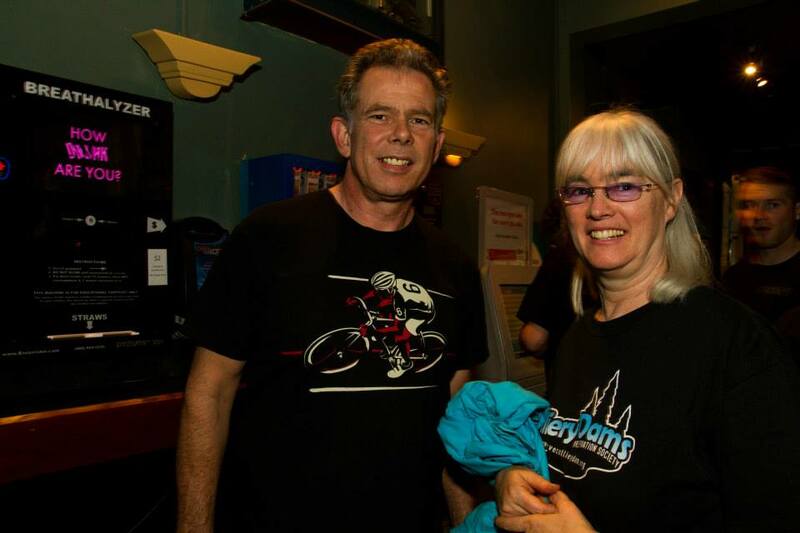 A Beer & Burger night was organized to help fund the Colliery Dam Park Preservation Society in their ongoing struggle to preserve the two lakes that make this park the popular Nanaimo landmark it has been for a hundred years. The group raised nearly $6,000 to fund their war chest in their battle with the city of Nanaimo which is moving forward with plans to remove both dams this summer. This is a very confusing, and complex issue which is likely only really understood by those closest to it. However, both sides agree the safety issue of the dams needs addressing, and the city has now agreed to replace both dams. This is a complete change from the previous decision to simply remove both dams and let the area return to the creek bed it was 100 years ago. The city is currently on a course to completely remove both dams as they believe that is the only way to mitigate the safety risk over the winter. Other engineers are of the opinion the lakes water levels can simply be reduced over the winter and then the dams replaced over the next two years, which would be a less expensive option in the long run. The city is expected to be back in court next week seeking their preventative injunction against any lake supporters that may wish to delay the destruction process. Chief Douglas White has called for a 'time out' in this whole process, rightly claiming the First Nations were never consulted about the recent decision by city council to rebuild the dams, and include hydro generation in one of the dams. This drama has been playing out in Nanaimo since last November, and really shines a light on city halls apparent lack of communication skills. It also points to a complete disconnect with the city and the users of the park. The city seemed to totally discount the social and recreational value these two ponds add to this well used park. If you are to argue the parks value simply on a dollars and cents basis, keeping the dams would fail, however, you could also make the same argument for the ice rinks and indoor pools which are heavily subsidized by Nanaimo taxpayers. You could also make a case for closing Beban Park if looking strictly at bottom line costs were the only criteria. The RCMP offer this friendly advice for how to keep yourself, family and friends safe over the July 1 Canada Day long weekend. Traditionally, this long weekend is one of the busiest for holiday traffic. Children are out of school and many people take advantage of that to start their summer vacations. The increase in traffic can lead to the increased possibility of becoming involved in a collision if you aren't careful and not completely focused on your driving. Be realistic about your travel times and check the road situation before you leave. Check www.drivebc.com for possible highway closures before heading out and allow extra time for delays that may occur, especially over the long weekend when more vehicles will be on the road. Relax… it’s a long weekend after all. Plan a safe ride home or plan to spend the night - don't drink and drive. Slow down, keep your distance and buckle up. Call 911 if you see an impaired driver and advise police of problem activity before it gets out of control. All unlawfully kept liquor will be seized and violators could face fines up to $230. Please be sure to transport your liquor in your trunk or a space designated for storage in your vehicle. Anyone who operates a power-driven craft must have proof of competency. Before heading out, make sure you get the latest forecast for your area. Summer thunderstorms can strike quickly and without warning. Don't push your limits on, or in, the water - remember life jackets save lives; once you're in trouble on the water it's too late - put your life jacket on before you hit the water and leave it on. Mixing alcohol and boating is illegal. You are responsible for the safety of your guests and for not putting other waterway users in danger. Heading Out to His Yellow Submarine? 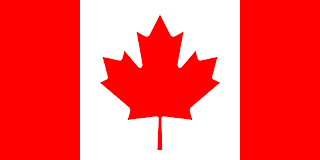 Celebrate Canada’s 146th birthday! Bring the family to Maffeo Sutton Park for a day of nonstop fun and activities, including music, dance and children’s shows, and food from around the world. 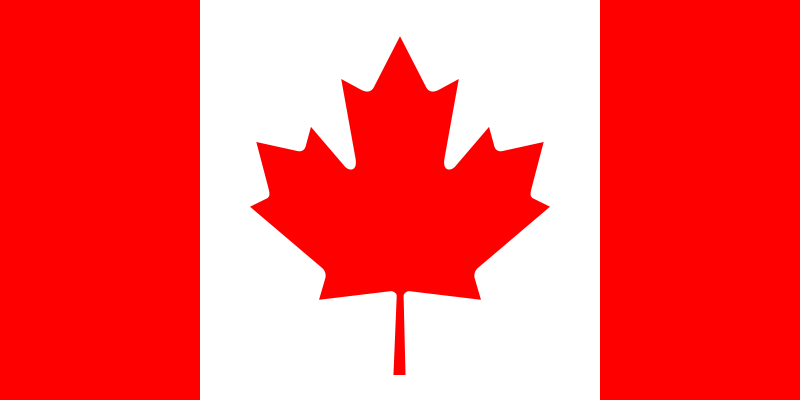 Canada Day festivities will begin at 11:00am with the Celebration of Flags, followed by live entertainment on the stage from 11:30am to 3:30pm. 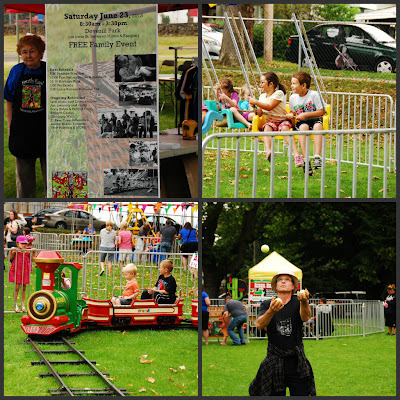 Roving entertainment and interactive booths are also part of the fun. Whether you want to learn a new dance move, pick up some gifts at the Farmer’s Market, see local talent play on the stage or take a picture with Royal Canadian Mounted Police, this Canada Day event has it all. Remember to wear your red and white! When city council or city staff are challenged on what appears to be an excessive number of in-camera decisions they will usually offer up the '3 - L's' as being automatic topics requiring in-camera discussion. The 3 - L's are Land, Labour and Litigation. All three of these categories fall under the Community Charter section 90 (1) which says that a meeting MAY be closed to the public, it does not say MUST be closed to the public. This does not mean that ALL land deals must automatically be taken in-camera unless there is a reasonable concern that public discussion could harm the interests of the municipality. The recent announcement about the Wellcox land sale to the RDN is likely a deal to which this rule did not need apply. As is the case with ALL in-camera meetings (in-secret), once the reason for secrecy has passed, this council should immediately bring the matter out of in-camera and make it known to the public. Another example of what could be classed misuse of in-camera occurred with the meeting last year when council decided to remove Colliery Dams. The public needs to know, just what information this council acted upon when making this decision. The following article was transcribed from archived records of the Nanaimo Free Press, dated November 10, 1910. It provides an eye witness account of the site and the construction method used in building the dam. There are many significant facts revealed in this account,not the least of which is how well built the structure was in the first place. This finished work is the product of two involved citizens, one who researched the files, and another who produced the finished work copying from a photo copy of the original newspaper page. So much improved work has been going on in the city of late that enterprises of this character have almost lost their news value to local readers. Still the dam that is being built by the city at the No.1 reservoir, and the waterworks system which the Western Fuel Company are busy with are worthy of mention. A Free Press representative made a tour of inspection the other day, and found work busily progressing at both places. The location of the dam being constructed by the city is as everyone knows at No.1 reservoir. The old dam of logs and cement had begun to look badly, and presented a very dilapidated appearance. However, its appearance belied its real condition. It was found when the work of demolition was begun that the timbers were sound enough, and it may be that had the reservoir been emptied of water before the construction of the new dam had been decided on, the old one could have been repaired and made to last several years yet. However a concrete dam would have been necessary sometime, and it might as well go in soon as late. Once it is in the question of repairs, which with the old dam would have been more or less present all the time, will be practically disposed of for all time. When the Free Press representative paid his visit the work of blasting the rock for the foundation was proceeding. Evidently there had been some change of plan here. A foundation had been prepared some feet back of the old dam; but this had been abandoned and another one almost on the site of the old dam was being prepared. What reason there was for making this change which, of course involved an extra outlay, the writer did not learn, but the change was being made. The dam is being built higher than the old one, and all the materials are on the ground, so that when once the actual work of building commences, the structure will be rapidly completed. Advantage is being taken of the emptied reservoir to clean it out. The mud and decayed logs are all being taken from the bottom of the reservoir, and as the water will reach a higher level than formerly, the brush and trees along the side right up to No.2 dam are being dug up, or cut down, and the whole burnt up. The removal of the decaying vegetable matter will do much to purify the water, and from what the writer could see of the condition of No. 2 reservoir the same thing badly needs to be done to it. The water from the South Forks canyon is emptying into this reservoir, and not twenty feet away a thick mossy scum can be seen covering the water. If as yet it is impossible to lead this water direct into the city mains without storing it in a reservoir, at least let the reservoir be made as clean as possible. The western Fuel Company are putting in a dam about a mile below that of the city. The location is close to that of the southwest corner of the Five Acre Lots, and there the company has obtained a fine natural basin which will store all the water necessary for their purposes. The writer of course knows nothing as to how the water is to be obtained, nor how the people below on Chase river will get along after the company’s works are completed and in operation. That is the company’s business and the writer’s present business is simply and merely to tell what he saw. In the first place then, and it is the first thing that strikes the visitor, the company have found and excellent location for their dam. Running out of a large and wide basin, with gently sloping sides and a level bottom, the creek passes through a deep and narrow cleft and here is a reservoir ready made which will hold an immense quantity of water. All the same the stopping up of this cleft which must have appeared an easy enough matter, has not proved such an easy thing actually to accomplish, and much more expensive than was anticipated. The rock itself was not as it might have been and made the work of getting an insert for the dam something of a difficulty. The bed of the creek, or in other words the cut into the rock made by the creek was deeper than was anticipated, and as a consequence there was more excavating than was expected to get to solid rock. All these things have added to the magnitude of the task, and made it all the more interesting to visit. The company, as might be expected are proceeding with all their usual thoroughness. In the first place a spur line was laid from the Harewood track to the location of the mine. This provides cheap transport for all their material. The actual work of excavation is being carried out with steam power. A special portable engine was purchased for the purpose, and while the burleys are driven with compressed air generated by the engine the material blasted out of the cut is hoisted by means of a steam winch. Altogether it is a much bigger job than the city has on hand and the water has yet to be piped from the dam to the mine. Note: Bold type highlights eyewitness allusions. Underline refers to eyewitness accounts of topography and pertinent data. Underline plus bold references the all important statement get to solid rock. The local Daily is reporting that the most recent hotel deal seems 'very close' with just the final language being ironed out. I hope our city negotiators remember the 'devil is in the details' as they forge ahead with this new deal. According to all reports this seems like the deal of the century for Nanaimo which will finally give us the missing piece to downtown Nanaimo becoming the thriving tourist and business hub we have been striving for these past years. The original deal with our partners of the conference centre was to have included a hotel on this site to have been completed in conjunction with the conference centre. Ever since that whole project was bungled downtown Nanaimo has seen a conference centre struggling due to a lack of adjacent hotel space. Whether this new hotel will make Nanaimo more of a conference mecca remains to be seen. 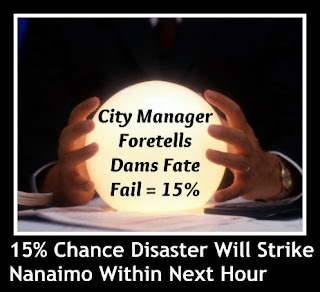 What kind of a deal our City of Nanaimo negotiators and the NEDC negotiators have been able to hammer out for the benefit of Nanaimo will provide interesting study, I am sure. One of the things this company brings to the table is built in customer base as they are in the tourism business in Asia and are reported in the Daily to move 41,000 people daily, and gross $175,000,000 annually. The company business model is not disclosed, but to move 41,000 people daily or 14,965,000 annually and only gross $175,000,000 shows a gross margin of less than $12.00 per client. VICTORIA – BC Ferries and Parks Canada are teaming up once again to provide travellers the opportunity to discover the world beneath the waves with the return of the Coastal Naturalist program. Over 175,000 customers participated in the onboard presentations last summer, which are interesting and educational for people of all ages. 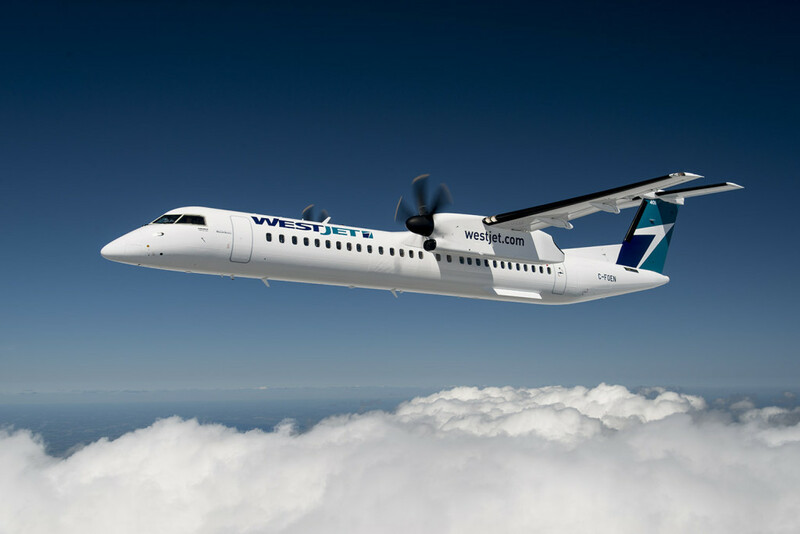 Nine Coastal Naturalists will provide 20-minute presentations to inform and inspire passengers about a wide variety of subjects, including Parks Canada’s incredible places to visit. This year’s fun, interactive presentations will reveal exciting insights about B.C.’s unique wildlife and marine life; coastal, nautical and cultural history; and hear stories that connect passengers to Parks Canada’s extraordinary places. 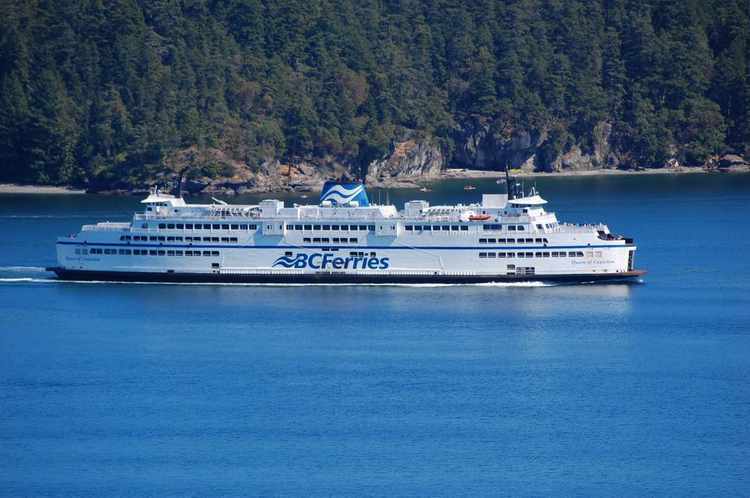 “Over a million customers have been entertained by this enlightening program for eight years now, which has become part of the travel experience with BC Ferries for many families travelling on their summer holidays,” said Corrine Storey, BC Ferries’ Vice President of Customer Services. “Parks Canada is thrilled to join BC Ferries in bringing the stories of our treasured places to life,” said Helen Davies, Parks Canada Supt. for Coastal BC. The Coastal Naturalists will be onboard the Tsawwassen – Swartz Bay and Horseshoe Bay – Departure Bay route on select sailings from Wednesday, June 26 through Monday, September 2. 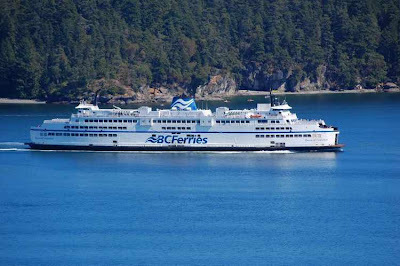 For schedule details, visit www.bcferries.com. To get information and book flights on the Westjet Encore Nanaimo - Calgary service use this Nanaimo Info LINK. 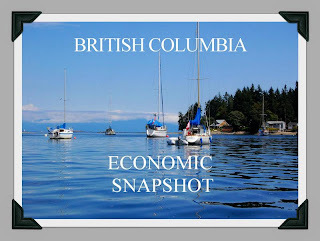 Vancouver, June 27, 2013 – Small business confidence in British Columbia held steady in June at 65.6, a sharp contrast to the national average which fell sharply, and is now at its lowest point since July 2009, according to the Canadian Federation of Independent Business (CFIB). The Business Barometer® index for BC in May stood at 64.9. An index of between 65 and 70 is generally associated with an economy growing at its potential. View the Provincial Summaries report by clicking HERE, View the full report by clicking HERE. View the Sector Report by clicking HERE. The following information is taken from the CMHC Rental Market Report released in the Spring of 2013. As with all statistics they are seldom easy to interpret the underlying causes, however, the fact that the vacancy rate in Nanaimo has edged up from 7% in April 2013 to 8.3% in April 2013 likely means one of three things, people have left the area, people have purchased houses and no longer are in the rental market or there has been an increase in available rental units. This vacancy rate bodes well for renters as lower rates should be available to reliable renters willing to negotiate. In Oct. 2012 the vacancy rate was 6.7% which represents 221 vacant units on a total available of 3304. In April 2013 the vacancy rate is 8.3% which represents 277 vacant units on a total available of 3343. The dark blue bar shows vacancy rate for April 2013 and the light grey bar shows the vacancy rate for April 2012. At the June 24 City Council meeting, Councillor Brennan moved to revisit the SHAW Free WiFi application that was defeated at the June 17 council meeting at which both she and Councillor Pattje were absent during that vote. After hearing from a SHAW spokesman and anwering a few questions of city IT staff, city council voted to sell SHAW access to different locations around the city for a fee of approximately $47,500 annually. This gives SHAW the right to locate their equipment on various city infrastructure around the city which will ultimately offer WiFi access city wide for their customers. This was the option recommended by city staff, and will provide free WiFi access to exisitng SHAW customers across the city, indoors, outdoors, virtually anyplace once the equipment is in place. The offer that city staff did not recommend and which council did not seem to give much consideration was the other offer put forward by SHAW which would have seen the city receive no revenue for the use of city infrastructure. In fact this offer would have seen the city pay about $5500/yr which represents the cost of hydro to run the access equipment.The upside of this deal, is that the Free WiFi would have been also available to non-SHAW customers across the city. Had the city decided to forgo the $47,500 revenue from SHAW and picked up the $5,500 hydro bill the city of Nanaimo we could have billed Nanaimo as a progressive, forward looking city which now makes City-Wide WiFi FREE for everyone. You might think a FREE City-Wide WiFi claim could pack quite a punch on our tourism Nanaimo brochures and our 'welcome to Nanaimo' handouts. In fact you might wonder if $53,000/yr. could buy you that kind of publicity and goodwill. The Bowen Road Farmers' Market which is open every Wednesday from 4:00 - 6:30 pm is becoming a very popular spot for those seeking local produce, meats, bread, baking, cheese, preserves etc. etc. So put a big circle on your calendar for Wednesday's from now through to October, and be sure to arrive early as some of the most popular vendors, simply sell out of product. The month of May 2013 saw 122 homes sold, compared with126 homes the previous month, and compared with 109 homes sold in May 2012. This represents a 12% increase when compared with last year. The average sale price decreased in May 2013 to $357,443.00 compared with $349,554.00 in May 2012. The median Nanaimo house price for May 2013 was $345,000.00. Following sales figures are based on average MLS sales summaries for Nanaimo and other Canadian cities for May 2013. 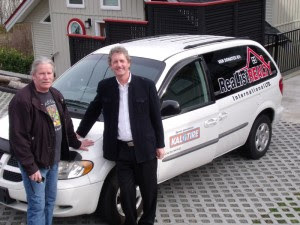 Recently Gordon Halkett (right) of ReaList Realty in Nanaimo, B.C. donated a van to the Nanaimo 7-10 Club Society. Gordon Fuller, chairman of the society (which provides food for local families in need), accepted the donation. The Snuneymuxw First Nation is sharing some details of the public process that it proposes regarding the potential removal and rebuilding of the Colliery Dams. This is part of an on-going effort by Snuneymuxw to provide a constructive voice to this matter of widespread public discussion and to encourage all parties to get on a track that will advance collaboration and consensus rather than conflict. Snuneymuxw's proposal for a "time-out" from the current course the City is on, and the adoption of a short, public, process to review all alternatives, is in response to the sudden shift of direction by the City in May when - with no notice to Snuneymuxw - the City made a decision to rebuild the dams. That decision is very problematic for a range of reasons - including that the City never engaged Snuneymuxw about it, has not completed the necessary studies or analysis of the impacts on Snuneymuxw’s Treaty protected fisheries of undertaking both removal and rebuilding, and has developed no detailed information of what rebuilding might look like or entail. Snuneymuxw expects that such a study of alternatives should also engage the Department of Fisheries and Oceans, as well as the Province of British Columbia, both of whom have responsibilities and obligations that must be met. "We acknowledge and appreciate that the Mayor, his Council, and staff are all making real efforts to try to manage a very difficult situation. The reality is, however, that the City's shift in direction changes this matter entirely. The City is now of the view that it wishes to have dams of some sort at this location. Snuneymuxw is prepared to explore this. 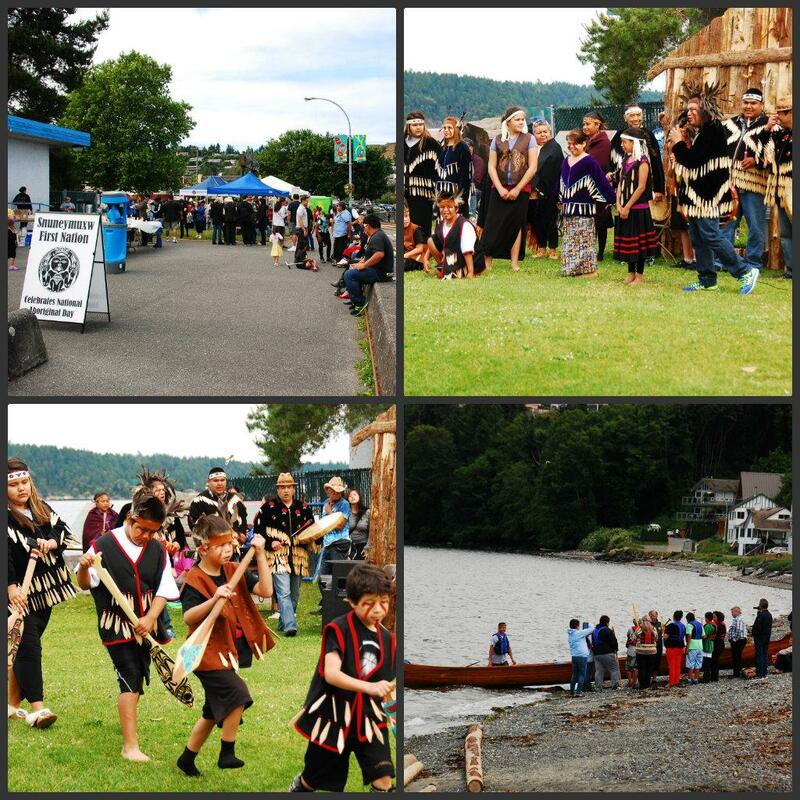 However, it is necessary that they appropriately examine all alternatives for doing that, including in relation to Snuneymuxw's Treaty Rights," said Chief Douglas White III of the Snuneymuxw First Nation. "If the generally shared view that people have is that there should continue to be dams at that site - then the only responsible course for everyone is to take the time to examine all alternatives. Otherwise we are making a decision in the dark - without understanding the severe impacts and challenges that may arise from a remove and rebuild scenario," he added. The process would begin by mid-July and be completed by the end of September. During the process the current dams would remain in place, and risk from the existing dams would be mitigated through drawing down of water levels. The process would engage the public, the City of Nanaimo, the Province of British Columbia, DFO, Snuneymuxw, and stakeholder community groups. The process would be guided by a facilitator, who would make recommendations at the end of the process. An expert, independent technical team would work with the facilitator and provide input on each alternative. All aspects of the process would be public - meaning that all information provided to the facilitator would be made public. "When public issues take on this type of complexity, they merit focused, determined, public efforts to build a consensus. This is why Snuneymuxw is advancing this approach. We are prepared to support such a process, fully engage with it, and support it however we can. I hope, encourage, and challenge the public, the Province, and the City Council to support the proposal Snuneymuxw is making, turn down the temperature on this issue, and get down to some hard work together in the upcoming months." he added. 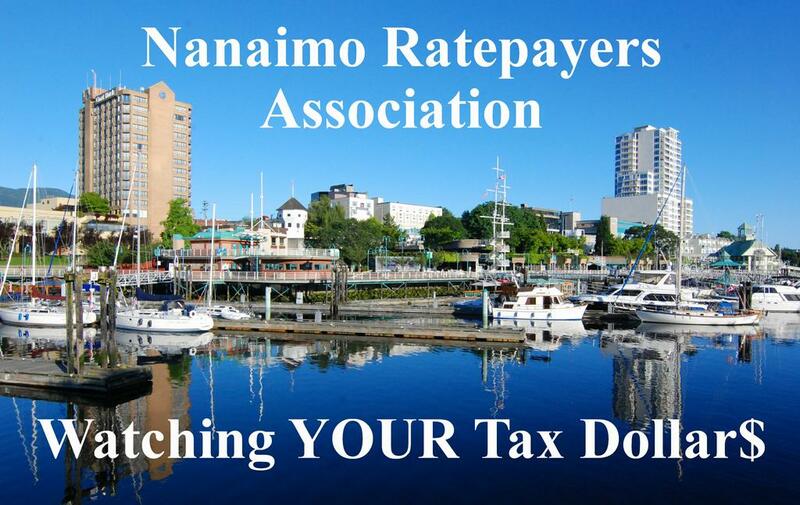 Don't forget that your Nanaimo property taxes are due by next Tuesday July 2, 2013 and must be paid by then to avoid penalty. You must also claim your homeowners grant (even if you can't pay your taxes) by that date to insure you get the credit. Taxes not paid by July 2 are subject to a 5% penalty and an additional 5% penalty is added on Aug. 8, 2013 if they remain unpaid by that date. To find out more information about your Nanaimo property taxes visit the city website using this LINK. 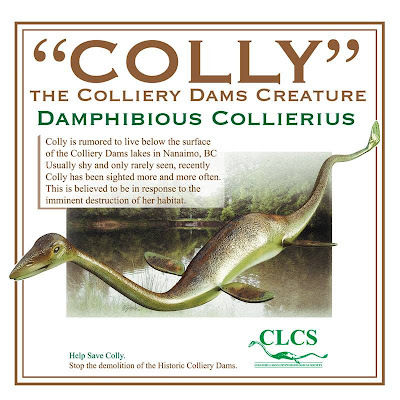 Colliery Dams Creature Getting Restless? Perhaps the imminent destruction of the creatures' habitat is to blame, but it seems a little known creature occupying Colliery Dams is coming into prominence. 'Colly' as she is affectionately called is rumored to live below the surface of Colliery Dam lakes and is usually very shy and seldom seen. Recent sitings are attributed as a response to the imminent destruction of her habitat. Anyone capable of capturing an image of Colly is urged to make it known to city hall, so they may immediately halt the pending destruction of this gentle creatures' home. The Nanaimo Ratepayers Association made their inaugural presentation to Nanaimo City Council at the June 24 regular council meeting. The Ratepayers expressed their opinion that while they take no issue with the DNBIA as an organization, they do object to the taxpayer funding the group receives. If council adopts the policy of matching the funds collected through the BIA levy, the city taxpayer could be paying approximately $250,000/yr. via a matching grant. These funds are used primarily to pay administrative costs at the DNBIA which exists solely for the purpose of promoting downtown business. 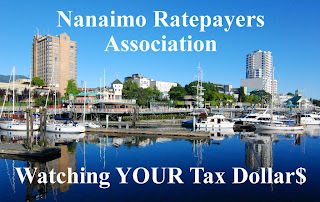 The Nanaimo Ratepayers Association is of the opinion that if the DNBIA needs more money to operate than what the current levy produces, they should increase the levy and not dip into taxpayers’ pockets. The Nanaimo Ratepayers felt confident that city council would agree with this tax saving measure as it would not negatively impact on either fire or police service levels in the city while giving tax-weary Nanaimo residents some relief. City Council did not seem receptive to this tax saving measure, however they only voted to proceed with the tax levy at this time, and will decide on the matching city grant at a future council meeting. To View Presentation Click On The Image. Providing a model all Nanaimo neighbourhoods could benefit from, the South End Community Association put on the annual Miners Heritage Picnic in Deverill Park this past Saturday. As usual this great free, fun family event was well attended with lots of fun activities, rides and events for the kids and lots of 'grown up' things to do as well. Gord Fuller was kept busy on the BBQ cranking out a steady stream of tube steaks for a steady stream of hungry picnic goers. He makes a mean tube steak by the way, as Councillor Johnstone can attest. For additional information and complete event listings visit www.nanaimo.ca or call 250.756.5200. I have found it curious that the city hall official position is that you can not control the winter flow rates of the Chase River using siphons and/or pumps. This is the prime reason given for the opinion that the dams must be destroyed as the only way to address controlling winter water levels.This in spite of the fact it presents many issues that could be avoided if council simply adopted Councillor Pattjes motion rather than Counillor Brennans'. I asked Mr. Sims about using siphons and he said they simply could not handle the winter flow rates. Mr. Kenning said professional engineers say it is not a practical method of control. Not being the sort who simply takes someone's word for things, even if they are referred to as the professionals at city hall, I did some investigation into the matter, prompted by the fact a local company is willing to enter into a design-build contract which involves reducing the winter water levels as a means of addressing the immediate safety issues. I came across an article in the Association of State Dam Safety Officials: Installation and "Operation of a Siphon System to Provide Water Supply Releases (2003)" which would seem to offer an opinion contrary to our own Mr. Sims or Mr. Kenning or Mr. Hickey or Mr. Cooper I presume. The dam referenced in this study impounds 383 - million gallons and serves three purposes, flood control, recreation and water supply. Due to operational issues with the sluice gate, they chose to design and install a siphon to transfer water from the lake to the receiving stream. Now, for some boring technical details, the siphon they installed was an 8 inch diameter siphon made of galvanized steel, it was 1,095 feet long and included a gate valve, butterfly valve and 3 ball valves for priming and discharge control. It took about 35 man-hours to complete. The siphon provided continuous flows of up to 1.6 mgd during the fall and winter months. The operation of this siphon proved so successful, they installed a parallel 12 inch diameter siphon which provides flows of up to 2.9 mgd ***. It seems that if our water technician is of the opinion a siphon could not control the winter flows, I wonder if there are other opinions that need a closer look? As for the city manager, he of course just relies on the opinion of the professionals, as construction and dam safety are certainly nothing he is expert in. An example would be his earlier opinion it would cost $30 million to replace both of the dams. So, the next time someone tells you a siphon couldn't control the winter flow rates you really have to ask them where they are getting their information. Of course one 8 inch siphon is not sufficient to deal with the winter flow, you have to increase the total diameter of the pipe/s to handle the calculated flow. The point is, it can be done. 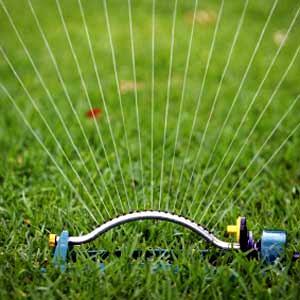 *** mgd = million gallons per day is a measurement of water flow frequently used in measurement of water consumption. One mgd equals 133,680.56 cubic feet per day, 1.5472 cubic feet per second or 3.0689 acre-feet per day. 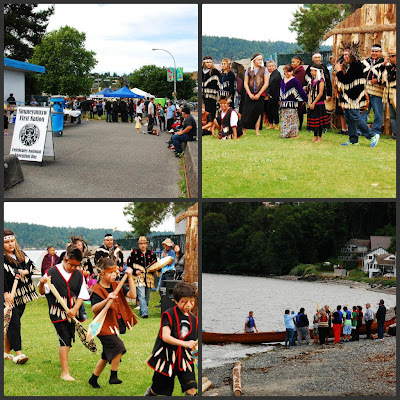 Departure Bay beach was the location on Friday for the Snuneymuxw First Nation to celebrate their heritage which they freely shared with the all who came to share the event. Food was plentiful as was different activities and displays highlighting the rich culture of those who first occupied this most excellent place to live. Their song and dance offered a glimpse into their tradition of celebration, prayer and story telling as a troupe of performers demonstrated for the appreciative crowd. With a little imagination you could almost imagine how Departure Bay would have once looked, if you removed all of the evidence of the past 200 years and the bay were lined with longhouses as the Snuneymuxw would have gone about their peaceful lives enjoying all the bounty this place would offer. You sometimes have to wonder if what we call improvement and progress, truly is either. VANCOUVER, BC, Jun 22, 2013/ Troy Media/ – Retail sales in B.C. slipped 0.7 per cent from March to a seasonally-adjusted $5.13 billion in April as lower vehicle and gasoline sales weighed on total volume. Sales were comparable to year ago levels in April, but activity through the first four months of the year was still down by a modest 0.2 per cent. April was another weak reading for B.C.’s retail economy but activity has shown signs of an upturn in recent months following a second-half 2012 lull. Nonetheless, it has yet to break out of the range-bound trend observed since late-2011. The numbers are even weaker once adjusting for retail price inflation, with real dollar volume still hovering near 2008 peaks. Growth in the underlying population suggests individual households have cut spending. Current-dollar sales growth for full-year 2013 is forecast to reach a subdued 1 per cent. This will mark the slowest gain since 2009 and come off a 1.9 per cent increase in 2012. After declining sharply in April due to the shift back to a PST tax system from the HST on April 1, B.C.’s consumer price index (CPI) edged up modestly in May. Seasonally-adjusted growth in the CPI reached 0.3 per cent during the month and led by a near 6 per cent month-to-month gain in gasoline prices, following the previous month’s 1.2 per cent contraction. Year-over-year growth in the CPI (annual inflation) was negative for a second month, as prices declined 0.6 per cent from year-ago levels. Again, the contraction largely reflected the tax-regime shift, notably in restaurant meal prices, which were down 4.9 per cent, and some other services. The negative inflation reading does not signal a deflationary environment as the policy shift was a one-time event. Monthly CPI will revert to its trend growth, albeit at a lower level. Annual inflation readings will continue to exhibit the effects of the policy change until April of next year. Recent fluctuations aside, annual CPI inflation fluctuated below 1 per cent in the eight months prior to the tax change. Low inflation trends will continue as a reflection of the slow growth economy. Do you remember last November when city hall first told us how costly replacement of the dams would be and how dangerous they were? At that time the claim was 40% chance of failure in 50 years. That sounds pretty convincing, seems like with that high a probability the dams will fail and all those people will die, we should eliminate the risk. Right? But wait just a minute, doesn't a 40% or 15% chance of an event happening in 50 years mean it also has a 40% or 15% chance of happening in the next 5 minutes, given the next 5 minutes does happen in the next 50 years? Between 10% and 40% probability in the next 50 years. This is more like saying there is between a 1 in 475 and 1 in 100 chance in any given year. If 10% - 40% probability in the next 50 years is like saying a 1 in 475 and a 1 in 100 chance in any given year that equates into a .25% - 1% chance in any given year. Hardly seeming like the kind of probability of disaster that should be causing all this fuss. I have asked Mr. Kenning to supply the methodology that arrives at the 15% chance in 50 years, and will be interested to hear all the other plans to mitigate against the disasters that will also hit the rest of Nanaimo. The City of Nanaimo Cultural Committee will again be recognizing outstanding organizations, groups or individuals in the arts and cultural fields in Nanaimo. The public is invited to nominate organizations or individuals for the “Excellence in Culture” or “Honour in Culture” award. This is your chance to pay recognition to people and groups you know that have made a significant contribution to making Nanaimo a more culturally vibrant city. Each year, the “Excellence in Culture” award is presented to an organization or individual that has achieved regional and/or national recognition in the field of arts and culture (visual, performing or literary arts). The recipient of this award would be well recognized as a “Nanaimo Artist,” having demonstrated excellence in their field, and as being a significant inspiration to others. Previous recipients of this prestigious award include music teacher Brian Stovel, internationally acclaimed jazz pianist/singer Diana Krall, author/historian Lynne Bowen, Jillian Vanstone, Principal Dancer of the National Ballet of Canada and more recently the city recognized the Vancouver Island Symphony with the 2012 Excellence in Culture Award. The “Honour in Culture” Award is presented to an individual, group or corporation that is known for their dedication and support of the development of the cultural fabric of Nanaimo. Previous recipients of this prestigious award have included literary arts supporter Thora Howell, The Nanaimo Theatre Group, Arts Alive Summer School of the Fine Arts, arts advocate Sandra Thomson, Nanaimo Youth Choir conductor Marian Smith and most recently the city recognized arts and culture supporter / advocate, Eveline O’Rourke with the 2012 Honour in Culture Award. Nominations for both awards will be reviewed by the Cultural Committee with recommendations to the Parks, Recreation and Culture Commission for their endorsement. The awards will be presented in the spring of 2014 at the Port Theatre by City Council, and will be displayed in the Margaret Strongitharm Gallery at the Port Theatre. The Nanaimo Cultural Committee gratefully acknowledges the generous donation of professional photographic services by local photographer Gary Peters. Nomination forms may be picked up at Bowen or Beban Recreation Centres or online at www.nanaimo.ca. Deadline for submissions is September 6, 2013. For more information, please contact Bob Kuhn, Manager of Recreation and Culture Services at 250-760-1139. The City of Nanaimo is often cited as a leader among Canadian providers of municipal Open Data, a key component of the City’s commitment to transparency as identified in the City of Nanaimo Strategic Plan. The potential of this information is unlimited, but without a well-known licence users and application developers have faced significant challenges in understanding the legal implications of their use of the City of Nanaimo Open Data. On June 18th, the Government of Canada published a new Open Government Licence, developed through public consultation and in collaboration with several provincial governments. The following day, the Province of British Columbia published a version of the Open Government License which reflects British Columbia privacy laws and jurisdiction. Today, the City of Nanaimo is pleased to announce that the information in the City of Nanaimo Open Data Catalogue is available under the same terms as this Pan-Canadian Open Government Licence. With the adoption of this licence, users and application programmers can be assured that Nanaimo’s data can be used under the same legal framework as those applied by the governments of Canada, British Columbia, Alberta and Ontario. Garbage Incinerator For Duke Point? Has Democracy Died In Nanaimo? Councillor Brennan Likes Taxing & Spending? Nanaimo City Wages -- Confusing? Diane Brennan To Debate Jeff Solomon?? Fresh Strawberries Are Early This Year!